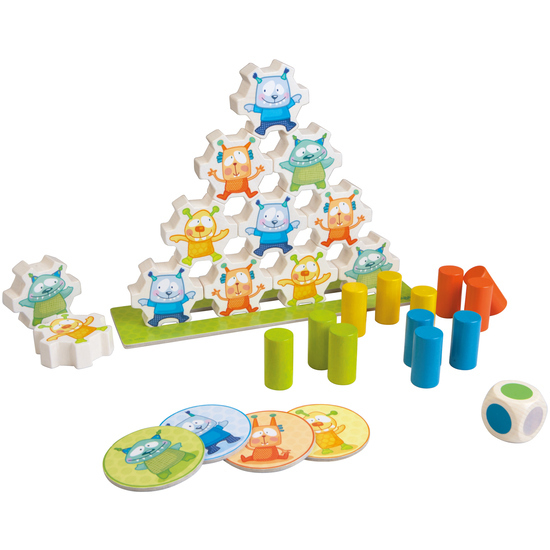 The mini monsters like being stacked to form a pyramid. Who can match the plugs with the colores of the monsters and carefully push them in between? 5 short games with rules of different degrees of difficulty provide entertaining play and stacking fun. Contents: 12 stacking monsters, 12 plugs, 1 stacking frame, 4 tiles, 1 die, set of instructions.